And the only reason they usually helped Earth was Jacob. The Tok’ra come in at number 4 because their goal was eventually achieved, even if they themselves had very little to do with it. 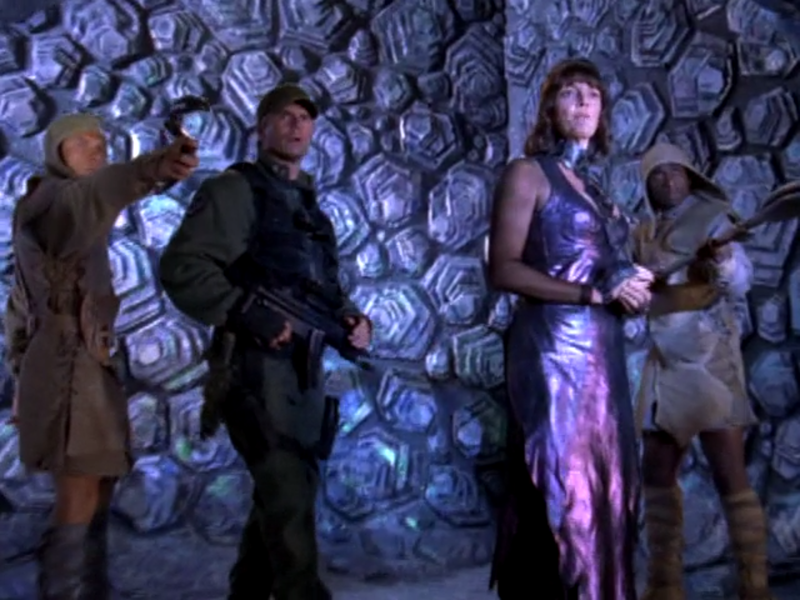 A group of Goa’uld that stood against Ra and declared their intention to coexist symbiotically with their human hosts instead of taking over like a parasite, the Tok’ra took their first steps towards rebellion. Except the big problem that they ran into was that they were insanely outnumbered and completely unwilling to do any of the dirty things that a successful resistance movement needs to do to survive. That’s not to say they did nothing, but being run primarily by symbiotes with lifespans on the order of thousands of years, they weren’t really in much of a hurry to accomplish that goal on a human timescale, something that irritated Jack O’Neill and the rest of the SGC to no end. 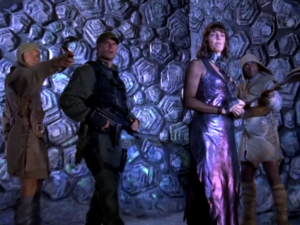 It was only after allying with the rebel Jaffa and the humans of the SGC that anything got done, and the Goa’uld threat was pretty much eradicated in under ten years. Imagine that! That includes any dogs who overhear the broadcast. Glimpses of the future Machine War in the Terminator universe are rare (hence why it was such a shame The Sarah Connor Chronicles was canceled when it was), but there’s pretty much one constant, and that’s the fact that the human Resistance is horrifically outgunned and severely undermanned. John Connors says, “if you’re hearing this, you ARE the Resistance,” for a reason. They always seem to be doing poorly, and the only tactic they have that even kind of works, no matter what timeline, is sending the same handful of people into the past over and over again to try to avert Judgment Day… and they haven’t even succeeded at that. Judgment Day just keeps moving, from August 29, 1997 to July 25, 2004 to April 21, 2011… (I don’t know if it changed again in Genisys and don’t really care to find out.) When even your last ditch backup plan only accomplishes a slight delay in losing, maybe it’s time to reevaluate your behavior towards the machines. Nah it’s cool, this guy in the fishnet top definitely knows what he’s doing. In Andromeda, Earth is occupied by the Nietzscheans, and most humans still on Earth live in poverty and squalor. 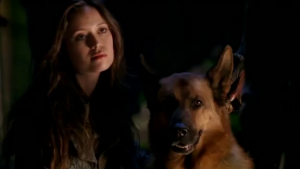 In the episode “Bunker Hill,” Harper’s cousin, Brendan, starts a rebellion to overthrow them and seeks out the Andromeda‘s help. Good news, right? Well, no, because his rebellion is basically just a handful of his friends and they get absolutely slaughtered when Andromeda fails to make it in time. Literally the only thing he accomplishes before they’re crushed is to record a video that inspires a few other planets being held by the Drago-Kazov pride. Not a great outcome, but it could be worse, right? Nope. The Drago-Kazov end up killing over 50 million humans to put down the rebellion. Earth does end up being liberated by outside forces… just in time to be destroyed by the Spirit of the Abyss. Really it’s no surprise that Federation citizens would be the worst terrorists ever. But by far the single least effective of the sci-fi rebellions that I have ever seen is the Maquis. They first appeared in The Next Generation, but the goal was always to set up the crew divide that was supposed to take center stage in Voyager. The Maquis as seen in TNG actually manages to be something of an annoyance for the Cardassians and Federation alike, but they never become more than that. The Maquis plot carries on into Deep Space 9, but almost all the Maquis operations seen in that show end up failing catastrophically. 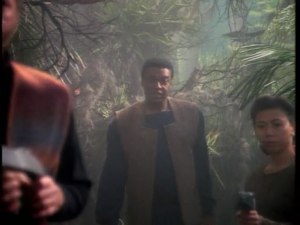 Riker’s clone-brother Thomas ends up in a Cardassian prison camp after his scheme fails; Chief O’Brien’s former captain, Maxwell, is captured after destroying only a few Cardassian ships. Pretty much every other defecting Starfleet officer we see gets arrested by either the Federation or the Cardassians. 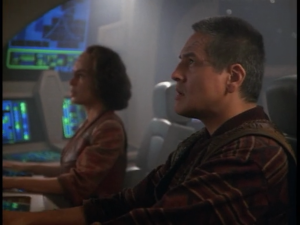 Chakotay’s ship the Val Jean had not one, but TWO spies aboard at the same time, and that’s in addition to the serial killer just waiting to explode. 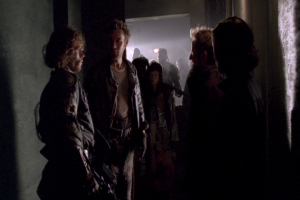 Eventually it’s revealed that the entire Maquis organization was destroyed by the Dominion, leaving the only survivors those under arrest or aboard Voyager in the Delta Quadrant. Where that leaves characters like Thomas Riker or Ro Laren is a mystery for the ages. Suffice it to say, the Maquis accomplished literally nothing except getting themselves killed. They were never more than a minor annoyance and mostly served to increase tensions between the Federation and the Cardassian Union, making war more likely. The only reason Voyager‘s Maquis characters weren’t among the dead is that they lucked out by being across the galaxy at the time. There we have it, four of the worst rebellions ever. Have any other revolutionary forces in sci-fi that you think weren’t up to the task? Let me know in the comments, or on Twitter @RetroPhaseShift. If you enjoyed this article, be sure to share it! really enjoyed this one, especially #3. although i am not sure what they could be doing differently against that adversary. delaying the inevitable is almost a triumph in itself. re: the maquis — one thing they definitely succeeded at is getting the viewer invested in the border worlds of the ongoing cardassia \ bajor conflict. great call mentioning ro laren and tom riker too. Yep, it was deliberately set up for Voyager to spin off from. Originally Ro Laren was supposed to become a main cast member (first on DS9 in place of Kira, then on Voyager in place of B’Elanna) but in both cases the actress turned down the major commitment that would require. DS9 felt like they had to address it since it directly involved the Cardassians, but never really had planned to delve into it as much as they did. It’s funny, because DS9 arguably did more with the premise of the Maquis than Voyager ever did.